As Chögyam Trungpa Rinpoche began to establish practice centers throughout North America in the early seventies, he introduced the group practice of The Sadhana of Mahamudra on new and full moon days for anyone who came to his meditation centers. For four decades, many a person has walked off the street, entered the meditation hall, and jumped into the deep end of the dharmic pool, transported into a world of Padmasambhava and the Karmapas, chanting phrases that express the most profound view of mahamudra and maha ati, supplicating to see the guru’s face emerge from the slime and muck of the dark age and the thick black fog of materialism. Many of us were captivated by the poetry and engolloped by the confident proclamation of the truth of egolessness. In offering a sadhana in English to anyone coming through our doors, the Vidyadhara gave beginning students a taste of the tantric way of engaging the world: the fearless view that all aspects of mind are workable and that whatever we experience is sacred world—a single circle beyond confusion. This practice also served as the primary statement for the Vajradhatu / Shambhala way of engaging the dharma. It proclaims that genuine dharma becomes possible only when physical, psychological, and spiritual materialism are cut through. It is a generous offering from the lineage, and it is clear that the only offering we can make in return is to follow their example. 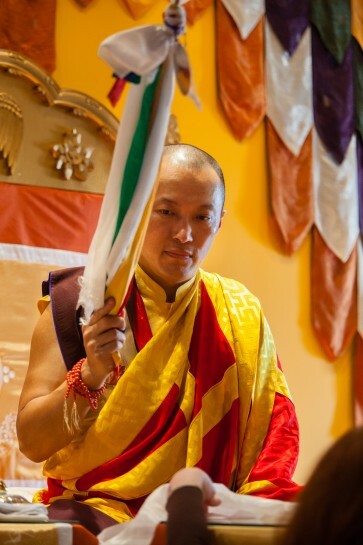 Sakyong Mipham Rinpoche bestows empowerment in Halifax, 2012. Photo by Marvin Moore. Given the sadhana’s significance in the development of our sangha, Sakyong Mipham Rinpoche decided that conferring The Sadhana of Mahamudra abhisheka would be auspicious during this year of commemorating the twenty-fifth anniversary of the parinirvana of the Vidyadhara Chögyam Trungpa Rinpoche. In Halifax, on April 1st (the Vidyadhara’s favorite holiday), Sakyong Mipham Rinpoche conferred the abhisheka on many students, old and new. For the first time, students who were not yet vajrayana practitioners were able to receive this empowerment. The lineage of The Sadhana of Mahamudra is the two traditions of immense crazy wisdom and immense dedication and devotion put together. 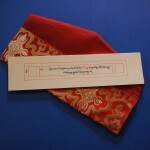 The Kagyü, or mahamudra tradition, is the devotion lineage. The Nyingma, or ati tradition, is the lineage of crazy wisdom. The sadhana brings these two traditions together as a prototype of how emotion and wisdom, energy and space, can work together. The powerful language and imagery speak directly to the inner experience of any person. It conveys an atmosphere in which emotion can be more intelligent and intellect can be more emotional. It allows one to experience devotion as an extension of our innate longing, rather than impoverished hero worship. In showing us the charnel ground of our mind, it confirms what we expected all along: life and death are inextricably intertwined in every moment. It shows us the path of self-liberation, whereby the very mind that gives birth to materialism can give rise to its antidote, liberation, in every moment—on the spot. In 1968, the Vidyadhara, accompanied by his English student Künga Dawa (Richard Arthure), undertook a retreat at Taktsang, near Paro, Bhutan, as a guest of the queen of Bhutan. Takstang is the sacred place where Padmasambhava manifested in the wrathful form of Dorje Trolö. Just prior to entering retreat, the Vidyadhara received the abhisheka of Karma Pakshi from His Holiness the sixteenth Karmapa, Rangjung Rikpe Dorje, and the abhisheka of Dorje Trolö from His Holiness Dilgo Khyentse Rinpoche. During the retreat, the Vidyadhara practiced the feast offering of Dorje Trolö daily. Toward the end of the retreat, The Sadhana of Mahamudra spontaneously arose in his mind, and he wrote it down very quickly. Soon after the sadhana was received, the Vidyadhara, assisted by Künga Dawa, began translating it into English. Although they had planned to leave Bhutan and continue the translation later, heavy rains and flooding prevented their departure. Rinpoche remarked that this was because the dakinis wanted him to complete the translation immediately. The ease and success with which the translation was accomplished was quite amazing—even “termalike,” he said. Soon after completing the retreat and translating the text, the Vidya-dhara was in New Delhi, where he gave a formal abhisheka for it to a group of about fifty people, mostly Westerners. Only a few Tibetans were among the participants, including Ringu Tulku. He and Künga Dawa remember that Rinpoche used something like a Coca-Cola bottle for the vase abhisheka, since a more appropriate vase was not at hand. He conferred the abhisheka again upon his return to Scotland that year. In both cases, this consisted of a formal empowerment ceremony, somewhat extensive and elaborate. The Vidyadhara created this extemporaneously, never writing any of it down. Clearly he was well-steeped in the tradition, having conferred the 900 abhishekas of the Rinchen Terdzö for the first time when he was fourteen. In the early days, before formally presenting the vajrayana teachings, the Vidyadhara would occasionally give a copy of the sadhana to some of his students, sometimes instructing them to practice it more frequently or on retreat. After Vajradhatu was established in 1973, only Karma Dzong, the contemplative centers, and Dharmadhatus were given permission to practice the sadhana on a semimonthly basis, as it was important that the hosting center did protector chants regularly. At that time, the text of the sadhana was not made available to individuals in any organized way. In 1975, the Vidyadhara presented seminars at Karme Chöling and Karma Dzong, during which he gave detailed background on the birth of the sadhana and brought forth its main teachings. 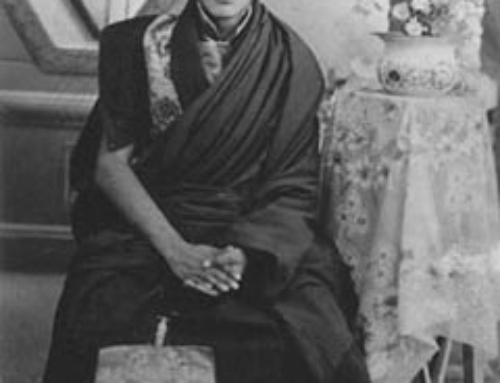 The transcripts of these are soon to be republished as a book: Devotion and Crazy Wisdom: Teachings on The Sadhana of Mahamudra by Shambhala Media. In 1976, Sam Bercholz produced a two-color edition as a gift to Trungpa Rinpoche, who was extremely pleased with this edition. As Sam recalls, Rinpoche preferred that people practice the sadhana as a group, and for the most part discouraged people from using the text at home alone. Sherab Chödzin remembers asking Rinpoche for some years whether we could call The Sadhana of Mahamudra terma, a hidden treasure teaching. He always replied, “No, you can’t.” At the 1983 Seminary, Sherab again asked Rinpoche to allow us to call the text terma. For the first time, he said okay. This happened just before a translation meeting, and so we were able to verify this with Rinpoche during the meeting. We learned that the Vidyadhara considered this text to be gongter, or “mind terma,” and he gave his approval for printing terma marks in future editions. 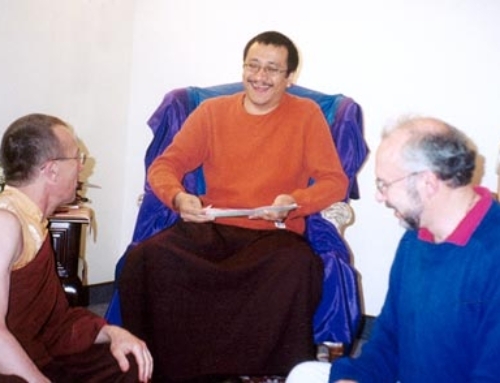 During his North American visit in 1982, His Holiness Dilgo Khyentse Rinpoche asked the Vidyadhara to compose an abhisheka text for The Sadhana of Mahamudra. Though the Vidyadhara was honored and visibly excited by this request, he never accomplished this during his life. After his parinirvana in 1987, when His Holiness was teaching in North America, we requested him to compose the abhisheka. 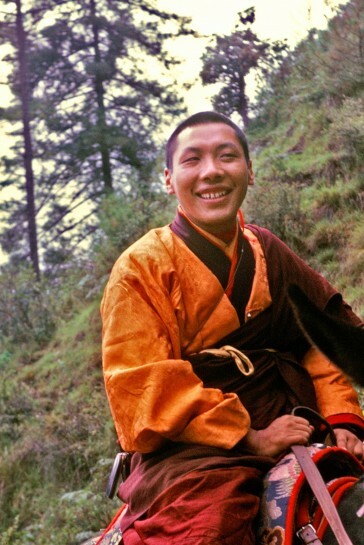 He accepted, explaining that the relationship between Trungpa Rinpoche and him was very special: whatever Trungpa Rinpoche did not finish, His Holiness would, and whatever His Holiness did not finish, Trungpa Rinpoche would. His Holiness completed the abhisheka text in 1988 at Shechen Monastery in Nepal. When he conferred the full abhisheka on the Sakyong, he used different chöpöns for different sections, so that only the Sakyong received the entire empowerment, and therefore was the sole lineage holder. After several years and upon the Sakyong’s completion of a retreat on the sadhana, His Holiness authorized the Sakyong to confer the abhisheka, which he did for all tantrikas for the first time in 1993 at several of our major centers, and later at most Vajrayana Seminaries. In the summer of 1990, at the request of the Sakyong, H.H. Dilgo Khyentse Rinpoche also composed a feast offering for the sadhana, entitled Bestowing the Supreme Wisdom of Great Bliss. In general, this feast practice is restricted to tantrikas. However, when we practice this to celebrate the parinirvana of the Vidyadhara on April 4th each year, it is open to everyone. Some thirty years ago, members of the Translation Committee began studying The Sadhana of Mahamudra in Tibetan. We discovered some subtle and important dharma contained in the Tibetan that was not always conveyed in the Vidyadhara’s more poetic English translation. We asked the Vidyadhara if he would read the text with us, with a view to retranslating the sadhana. He agreed, and so we prepared a first draft, working closely with Lama Ugyen Shenpen. At the 1983 Vajra-dhatu Seminary, we had a meeting with the Vidyadhara for the first and only time on this text, during which we were only able to retranslate the first few pages. 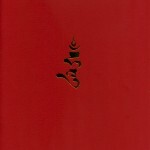 Our translation of The Sadhana of Mahamudra was first published in 1990. It should be regarded as an unpolished, literal rendering of the text, accompanied by annotations, which is mostly the result of our work with Lama Ugyen. It is meant as a tool for enhancing our appreciation and understanding of the Vidyadhara’s work, not as a liturgy to be practiced on its own. This translation has been included in our recent publication, The Sadhana of Mahamudra: Resources for Study. Twenty-five years after the great mahasiddha Chökyi Gyatso physically departed this world, the powerful message of The Sadhana of Mahamudra still resounds as the fearless proclamation of truth. Ego—drunk with spiritual pride, seduced by passion, and bloated with worldly concerns—cannot withstand the vivid display of awake mind. The raw experience of being human contains in itself the realization of fully awakened mind: the crazy wisdom form of Dorje Trolö-Karma Pakshi.